Nothing says love quite like a pie with a heart in the middle. Especially if it's miniature. 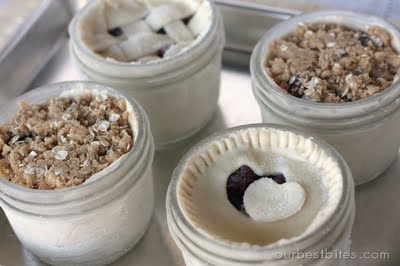 I think these cute little jars of pie would be the perfect valentines gift for friends. Found via My Favorite Things.